The pools have officially opened this past weekend and I hope you all are swimsuit ready. No, I don't mean your body. If you have been in the gym...great, but if you haven't still throw on your best swimwear and head to the pool. 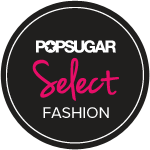 If you are looking for some new swimsuits for the summer we have you covered. Swimsuits below are all under $50. Uniqlo is a Japanese casual wear designer, manufacturer and retailer. "Who you are, what you believe in: that’s what you wear every day. And that is what we make clothing for", says Unliquo's website. Apparel that comes from their Japanese values of simplicity, quality and longevity. Designed to be of the time and for the time. Made with such modern elegance that it becomes the building blocks of your style. Uniqlo is constantly innovating, bringing more warmth, more lightness, better design, and better comfort to your life. I was introduced to Uniqlo about 5 or 6 years ago when I was in NY shopping. I purchased a few items then and those pieces are still in my wardrobe looking like I just bought them. I love the concept of quality yet affordable basics. 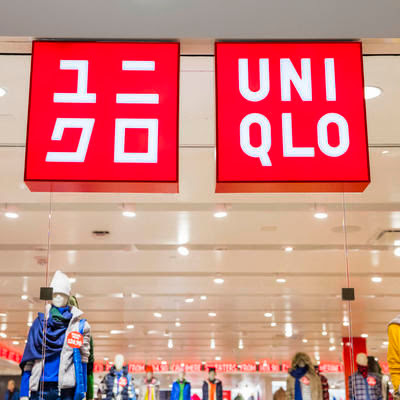 Uniqlo currently has over 1,400 stores in 16 markets worldwide. Their goal is to be the best in fit and fabric, and to be affordable and accessible to all. If you haven't shopped at Uniqlo before check them out today! 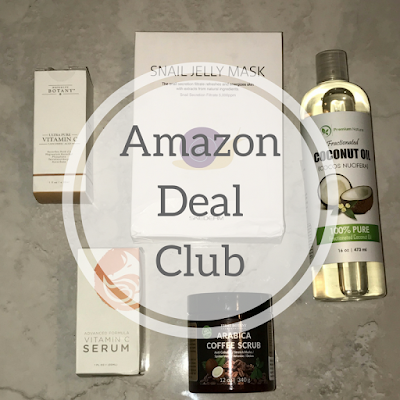 We are back comparing popular beauty products to their comparable dupes. Last week I was watching a video on youtube by Jackie Aina and I was so distracted by her glowing skin that I can't even remember what the video was about. She was wearing the Tom Ford Soleil Blanc Shimmering Body Oil and it gave her the best glow. This oil is perfect for those who love glowy bronzey skin. But here is the dilemma....1) The oil is so popular that it usually out of stock and 2) It's $98, that's about 80 more dollars than I would like to pay. If you don't want to purchase the splurge The Body Shop version is 1/4 of the price, it's organic, certified fair trade and comes in 2 different shades. Get a sun-kissed glow from head-to-toe with the Honey Bronze Shimmering Dry Oil. Give your skin an even, bronzed look with a hint of shimmer with this lightweight body oil subtly scented with honey and monoi. For a golden glow, use the Honey Gold shade for lustrous radiance. For darker color, use the Honey Kissed shade which can be intensified by layering. A shimmering body that oil captures the sultry effect of sun-kissed summer skin and tempts the senses with a fragrance of scorching sensuality. This silky and lightweight oil illuminates the skin with shimmers of gold and platinum leaf. The captivating fragrance wraps a bouquet of white florals in a golden, amber-sandalwood embrace—as tempting as a white-sand beach, as irresistible as the perfect tan. 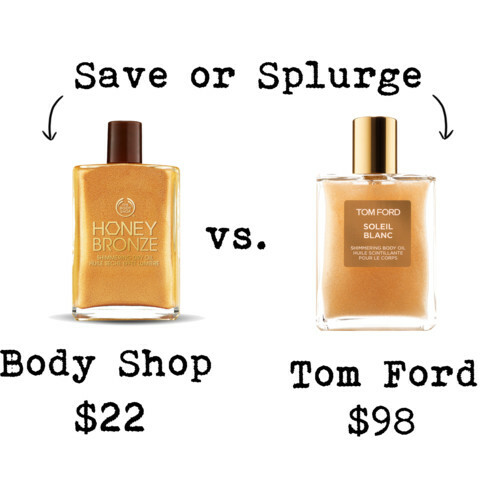 So which oil would you buy the Tom Ford or The Body Shop? On this item, I'll take the SAVE! If you have not already purchased and mailed out your Mother's Day cards to the moms in your life you are a little late unless they are local. However, Frugal Shopaholics is here to assist you with your last minute Mother's Day gift ideas! It is probably too late to order something, unless you are going to have it overnighted or shipped to the store. Target and Kohls both have a pick up in store today feature. If that does not work, head to the mall and pick up your gifts, but call first if you are looking for something specific. You do not want to waste time. All the items below can be found in-store and online! Turn your nightwear into daywear. Slip dresses are the move this spring and summer. Make it your own by adding a long jacket, layer it with a t-shirt or just wear the dress by itself. Many designers had slip dresses incorporated into their SS16 collections. 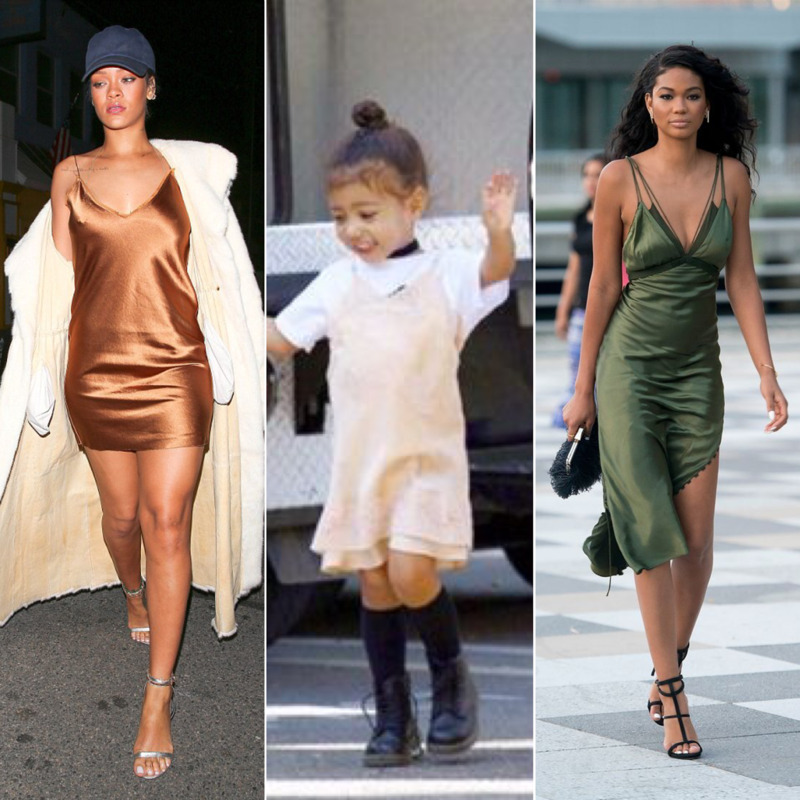 Celebs such as Rihanna, Chanel Iman, Kendall Jenner and Princess North West have been spotted wearing slip dresses recently. What do you think? Are you going to try this trend? Check out some affordable slip dresses all under $50.